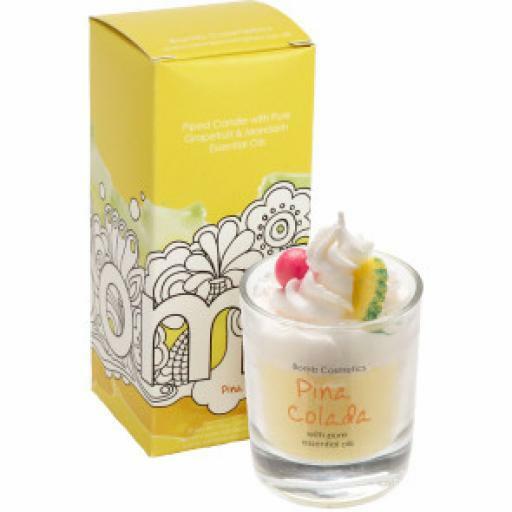 Pina Colada Whipped candle in a glass. A coconut base with fresh pineapple scents will have you going loco - with grapefruit and mandarin pure essential oils. Burn time of 30 to 35 hours.